Sometimes you need to follow your dreams, chase them out of your head and into the real world. That is what we have been doing the last couple of months. We had a dream of a high-end magazine about more affordable watches. 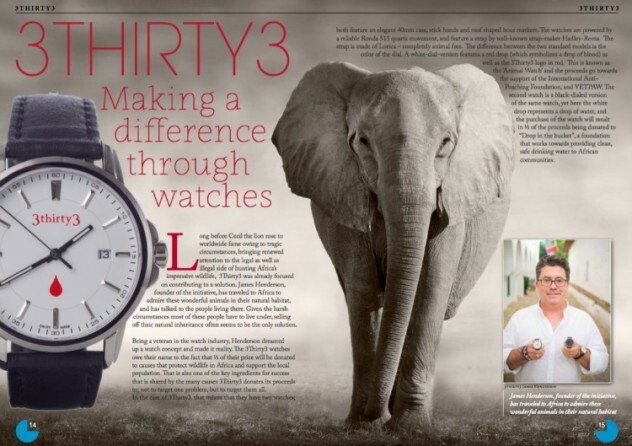 A magazine that talks about both men’s as well as ladies watches, but also not neglects vintage watches. That magazine has become a reality because we are proud to present you with the premiere edition of Watchisthis?! Magazine! In our first edition we talk with watch designer Eric Giroud, have a Cartier-expert examine the Apple Watch, interviewed the CEO’s of Edox, Nomos, Defakto, Junghans, 88 Rue du Rhone and Frederique Constant, and discover a very unique vintage watch by Louis Vuitton. And that is only the tip of the iceberg, because we have much more articles in our first edition ready for you to discover! To read Watchisthis?! Magazine simply click here. Part of our philosophy is that Watchisthis?! free, now and forever, for the simple reason that this means you have more money to spend on watches! We hope that you enjoy the premiere edition of Watchisthis?! and we are looking forward to hear from you!